As part of a global enterprise, many Argo employees travel great distances for job opportunities and began their professional lives in completely different industries. 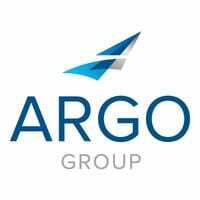 Argo Group’s “no risk, no reward” perspective not only applies to the company’s business success – it is also reflected in the employees who have helped to grow the business over the years. As a global enterprise, Argo has many employees who travel great distances for job opportunities and who began their professional lives in completely different industries. A Supreme Court ruling from 2017 shines a spotlight on the legal risks educators face when deciding not to allow service animals in schools.